Wharton-Smith Honored as one of Charlotte Business Journal's Best Places to Work for 2018 | Wharton Smith, Inc.
For this unique awards presentation, CBJ reserved seventy golf bays. 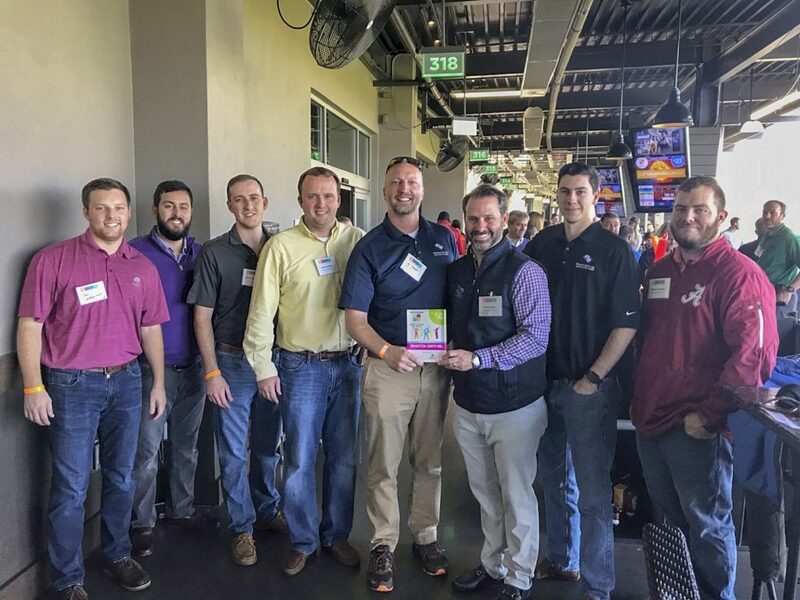 The goal was to honor recipients while creating a team outing that would “strengthen camaraderie.” Our Charlotte office had an open bay for eight participants. Team members hit micro-chipped golf balls that tracked each shot’s accuracy and distance while awarding points for hitting targets on the outfield. To qualify, a survey was sent out from the CBJ to both office and field employees asking about benefits, policies, and practices. The survey includes topics like workplace trust and goal development. All of those who made the Best Places list qualified by scoring at or above the national average in those areas.